Your series on IBM gave me a touch of nostalgia. You said the factual objective things, but you left out the touchy-feely part of IBM. I guess you younger folks never saw the IBM song book. That was more important to IBM's success than anyone will admit. I remember American newspapers making fun of Japanese companies who had company song books, but it works. Management theorists pump up "core values" and "mission statements." This is good. People can't serve the company's interest unless they know what it is. The mission statement tells what the company is trying to do and the core values give an idea how to do it Problem is, nobody wants to read 'em. Mission statements, team building exercises, off-site meetings and such are efforts to get all the employees "on the same page" or get them "singing off the same sheet of music." If the employees are together in what they're trying to do, the company's more competitive. What are all these mission statements and core values pushing back against diversity? Big companies have wonderful words about diversity on their web sites. Some say diversity is "one of our greatest strengths," but that's silly. If employees all have different ideas about what to do and how to do it, the company won't get much done. Mission statements, meetings, and suchlike try to get a diverse herd "on the same page." They try to undo the chaos caused by all that diversity and get the herd heading roughly west. That's one of the goals of the IBM song book. How could you do a better job of getting all those flocks and herds singing off the same sheet of music than by giving them the same sheet music to sing? And, yes, IBM did have an official songbook. Finding unity in song wasn't the only purpose, of course. Songs tried to explain what IBM was all about and identified corporate heroes so people would know how to behave. The Song Book passed out of official use long ago, but bits float around. This .doc file is missing the most basic, most foundational songs I remember. It doesn't have "We'll Sell, Sell, Sell for IBM," so it's not complete, but it'll give you the idea. Humans learn better through music. Most people remember more words of familiar songs than anything else. Singing IBM songs not only taught IBM-ers what the firm was all about, it taught 'em well. Some of the songs built confidence in leadership. Many executives had their own songs, not just the big boss. Confidence is important - when a soldier risks life or limb, the mission goes better if the soldiers have confidence that leaders know what they're doing. Same thing applies to countries. It's more important for businesses. It's easier to find another job than for a soldier to leave the army or a citizen to swap countries. If management loses the troops' hearts, the best leave first - they're better able to find jobs. Being left with the less-capable doesn't help get work done. Imagine an industrial general whose force has been selling, very successfully, against a much larger and wealthier competitor. Say the product is a fairly expensive sports car. And then the competitor brings out a cheaper competitive model - better performance and more up to date - which topples their sales dramatically. But just as the salesmen are wondering where their next month's bonus is coming from, out comes their own firm's brand-new model aimed at a different, less wealthy market, where it will obviously have a guaranteed sale for years. The salesmen realize that the defeat of the previous model had been foreseen well in advance, and the new one had been prepared long before as a safe line of defense. Clearly such generalship builds confidence and morale that will be invaluable in the future and a willingness on the salesmen's part to do whatever they are told simply because they know they can trust their leader. This quote neatly illustrates the trust-building purpose of two types of IBM songs - praising leaders and praising engineers who create new products as needed. IBM drew heavily on mechanical skills in the Beacon / Newburgh / Poughkeepsie area. The citizens were skillful with mechanical gadgets, either inventing or making them. As the New York Garment District where workers walked between their apartments and their jobs died, those skills and jobs are gone. While they lasted, IBM made money selling scales, time clocks, keypunches, typewriters, and all manner of mechanical contrivances. Everybody paid lots of taxes, too. The card sorter was one of the more wonderful devices. You put in a stack of punch cards, select a column number from 1 to 80, and push Start. Gears whirr, rollers roll, and cards end up sorted into 12 different bins. Why 12 bins? Few know any more. A little finger reached through the first hole in the card and touched a copper drum. This fired a relay which yanked a metal strip down. The card slid between the strip and the one above it. This guided the card down the length of the machine to the proper bin. These were incredibly useful in the days before computers. Suppose the telephone company had a stack of 10,000 punch cards which subscribers sent back with their bill payments. Drop them in, set the column for the last number of the phone number, and sort. Phone numbers ending in 0 ended up in the 0 bin, cards whose phone numbers ended with 1 were in the 1 bin, and so on. Now stack the cards on top of each other and sort the column with the second digit of the phone number. Stack the cards again, and sort on the 3rd column. Eventually, you ended up with all the cards sorted in phone number order. You match that pile with a master deck of cards which listed how much each phone number owes you. The machine skipped through the master deck. When it found a card showing a payment, it punched a new card giving what that person owed now. This was data processing in the old days. The sorter was key - without the ability to sort, tabulating cards would have been less useful and IBM would have sold far fewer. Cards didn't cost much, but when sold by the forest-full, profits added up. Tune: "While We Were Marching Through Georgia"
1. I. B. M. leads all the world with wonderful machines. Our great Corps of Engineers command the highest esteem. To meet the needs of all people. 2. E. A. Ford's new Horizontal Sorter pleases all. Speedy, quiet, beautiful! It surely has the call. To Mr. Ford we are grateful. Hurrah, hurrah, for E. A. Ford's machine. I. B. M. gives World Service. The most rabid IBM-ers I know admit that these lyrics aren't quite Gilbert and Sullivan, but the sentiment is plain - be grateful to engineers who design products. Other songs about salesman reminded the crowd to be grateful to people who sell. The message was, do your part. Take care of the product, the product takes care of the customer, the customer takes care of IBM, and IBM takes care of you. You got that part right, and so did IBM in those bygone days. It may seem old-fashioned, but don't forget that IBM provided well-paying, reliable, long-term jobs for hundreds of thousands of Americans. Wouldn't it be nice to have those jobs back? Written by an IBM employee dating back to the early 1970s. Read other Scragged.com articles by Guest Editorial or other articles on Business. Ah, yes, the card sorter. That innovation that helped the Nazis to determine who would go to the ovens, and when. What would Hitler have done without it? How much stock does the author have in IBM? Or is this a PR ploy by IBM? It matters not how much stock the author has in IBM - in fact, you bring up the chance to make a great point. Why do we always shoot the messenger? It's common in our time to attack the messenger. If we disagree with the message, we attack the messenger. Wouldn't the better thing to do be to look at the message itself? Is it true? Is it right? Is it logical? Instead, we attack the messenger. The meaning of the article is that by promoting teamwork and valuing each player on the team you can be successful. It is also about good leadership which means helping inspire the troops. Quite frankly, I hope the author holds lots of IBM stock as it's been doing pretty well... good for him! Good for the rest of IBM and its clients. Good for the country as profitable clients and well paid employees pay taxes. May we have more IBMs! "Whistle while your work..." I liked Cinderella better. But then what did she do? She went off and married a prince. Joined the elites she did. Anyway, lollipops like this article are fun for the funny and downright baffling to those who are trying to figure out what is really going on in the world. Ever read about the Born Sucker Machine? Yup, as amazing as it may sound, some guy named Born invented the first automated lollipop maching. Anyone around seen a Born Sucker lately? Look up confectionary on the web...lotsa sweets there. I mean if you gotta sweet tooth. I'm more into hot and spicy. T'weechizone. The IBM article is a lesson for all except of course, the union worker, who thinks of slowing production in order to "create" another job which results in the loss of his own job. I applaud the author of this article. We need more common sense solutions. Messengers are sometimes used to bring the wrong message. IBM is not one of my favorite companies. The men running the company in the 30's and 40's used trickery and deceit to help Hitler. It is unforgivable. All of the main stream news outlets are used for disinformation. Slanted news stories are aired, written, and then talked about, when the truth is hidden and those who would bring the truth are belittled and maligned. IBM is a successful company, to be sure. So is Ford Motor Company. It is interesting that the Ford Foundation, a not for profit company, funded the racist organization "La Raza" back in 1968 and has been allowed to continue as a private company while General Motors and Chrysler has been bailed out by our fearless golfer. Coincidence, you think? La Raza means the race. Only Mexicans can belong. Guatemalans, Columbians, Cubans, Brazilians, cannot be a part. Our fearless golfer bows down to those racists, people who don't want black people in their country. A couple of examples of the hidden truth. IBM helped murder millions. But don't let facts get in the way of your thinking, Fennoman. IBM makes money for its investors. So what if it helped murder millions of Jews. You're wrong, Robert. Plain and simple. IBM did not "help murder millions of Jews". Edwin Black's book on the subject has been discredited. The fact that some Nazi concentration camps used IBM counting machines does not mean that IBM supported Nazism. That would be like saying Glock "supported Jared Loughner" because he used one of their guns to shoot Congresswoman Giffords. Or that American Airlines "supported the 9/11 hijackers" because their airplanes were used to crash into the WTC. It is politically incorrect to tell someone they are wrong. IBM had a department devoted to the punch cards for use by the Germans. They were used for census. The Jews were sorted from the rest of the population and abused. Those are facts. But don't let facts get in the way of your thinking either. I have never heard of Edwin Black before your message. I never read his book. If some of the information that I have came from his book originally then we can discount that. But the fact remains that IBM routed information to the Nazis through Switzerland, unbeknownst to the Swiss, to be used by the Nazis in their census work. IBM made millions. So did Standard Oil of New York. So did Union Bank. All of the directors of the companies mentioned were Nazi sympathizers. Prescott Bush among them. Allan Dulles and others were complicit in the murders of women and children in Nazi Germany. The same companies are making money from the wars in Iraq, Afghanistan, Libya, and the three that are coming down the pike. Now is the time to take the rag from your eyes. Robert, I'm not disagreeing with you that the Nazis used IBM counting machines. I'm pointing out that there are OTHER facts to be considered, not just these ones. 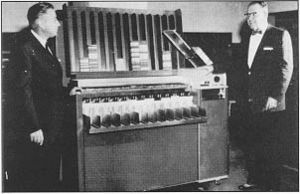 Fact - The Germany company selling and supporting the Nazi's counting machines was an IBM subsidiary, not IBM itself. Fact - The ONLY reason IBM acquired the German company was because the Germany company ran out of money and couldn't pay its bills and IBM was forced to take company stock as payment. Fact - The IBM subsidiary was nationalized by the Nazi government and their assets were confiscated - all of which was against IBM's will. Fact - The confiscation of the IBM subsidiary happened before the Jewish concentration camps were set up. The IBM subsidiary was taken over in the late 30s. All the facts matter, not just some of them. The stories that supposedly discretit Black have been discredited. Can't we make up out own minds what has credit and what doesn't? Simply saying that something has been debunked is simply saying nothing. You seem to take so much for granted, not allowing for interlocking directorates and covert agreements. If I say this is a naive point of view, it is because I know some deep history about the industrialist involved in funding the Third Reich. Stuff you hand wave as "conspiracy theory" but which is in fact documented tighter than anything I have seen offerd by you. In my previous reply, I offered 4 basic facts about the IBM/Nazi situation all of which are true. Edwin Black's book doesn't matter. Those 4 facts - and they are all true - make your argument false. I too think La Raza is a crock but I think you got Ford wrong. In 2007 Ford hocked their company to the hilt with a 30+ billion dollar line of credit in order to change their line up. At the time Ford was losing money hand over fist, if this gambit had failed they would have gone the way of GM & Chrysler. This is the reason they did not take the government money. They refused the money because of the strings attached to the loan had they taken it. GM & Chrysler should have declared bankruptcy and reorganized. The bond holder took a bath thanks to the community organizer and his henchmen at the unions. Polaroid was criticized for selling cameras and ID film to the South African government. Nike is criticized for creating jobs in poor countries. Were the people who made the carbon paper the Nazis used guilty? What about the desks? Way back when, someone used a leased IBM mainframe to create a large number of fake insurance policies. I forget the details. Anyway, the company stock went way up because they were selling so much insurance. It had to be true, the computer said so. Somebody sued IBM because IBM owned the computer which was used to do the fraud. Judge said that IBM was not responsible for how the customer used the computer. Yes, IBM owned it, but had sold or leased or rented use rights or something legal to the customer. Court ruled IBM was not responsible for what programs the customer put in it nor for checking over the output to make sure it was OK. Case dismissed. IBM offers the Obama administration to find 900 billion worth of fraud in Medicare, etc., FOR FREE just to show the are good at finding fraud. Obama turns 'em down. Why? This is a dogmatic appeal to authority. You say they are proven facts, and I say they are a cover story, and it is known that it is a cover story. Because there is the general corruption and proven collusion of Wall Street and Industry - the larger system is historically documented, the individual cases must be seen in this general light. Benefit of the doubt is indeed compromised for such large systemic industries. Their MO of complex interlocking directorates and covert linkages are simply historically proven facts. IBM was a big player in this game. The allegations against them is far from being proven false. They are still hiding documents, and shifting the locations in an attempt to keep them hidden. Because this information is not telegraphed by the Public Relations Regime, is no reason to doubt the veracity of the information, which in Antony Sutton's case comes with exhaustive documentation. I've posted a few stories from the early IBM on my blog www.ibm100tales.com. I've tried to give a flavor about what it was like. Respect for the individual was the number one belief, and it was implemented across the board.